Beat the deadline, stay compliant and call us today to request our mobile Live Scan Operator to come to your office, and have all of your attorneys processed in one convenient appointment. The process is easy and convenient and will accommodate your busy schedule. Under California Rule of Court Rule 9.9.5, all active attorneys licensed in California must be re-fingerprinted. 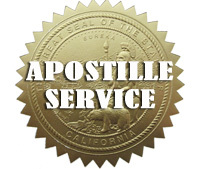 This is done to ensure that the State Bar is in compliance with Business and Professions Code Section 6054, which requires the State Bar to receive notifications of attorney arrests and convictions from the California Department of Justice (DOJ). For detailed information about the re-fingerprinting rule requirement, please go to the State Bar of California website’s FAQ’s. The State Bar is requiring attorneys to resubmit fingerprints by April 30, 2019. Failure to follow these instructions may be considered non-compliance with State Bar of California fingerprinting rule requirements and may subject attorneys to penalties. Attorneys and Lawyers will need The Request for Live Scan Service form ORI number A1104. Detailed instructions about the fingerprinting process can be found on the State Bar of California website. We can help you get fingerprinted quickly! If you are in the area, you can visit us at our office in Glendale. And for your convenience, you can also request our mobile Live Scan Operator to come to your location. We are an electronic fingerprinting service provider approved and certified by the California Department of Justice (DOJ) and the Federal Bureau of Investigations (FBI) to provide Live Scan services throughout California. Our goal is to offer our customers quality service at affordable prices. Our fingerprint specialists are experienced, trained and certified by the State of California to capture your information quickly and accurately using the latest technology. Convenient and accurate no matter what reason you need fingerprinting for, whether a government agency or employment. Walk-ins are welcome at our office conveniently located in Glendale, no appointments necessary. We do understand you have a busy schedule and that is why we also provide convenient on-site mobile LiveScan service. Attorneys, Lawyers, Notaries, Real Estate Licensees, Stock Brokers, Teachers, Foster Parents, Care Givers, DMV Licensed Professionals, Security Guards, Surgeons, Nurses, Doctors, Contractors, Appraisers, Adoption, Banking, Child Care, Education, Firearm Permits, Financial Services, Health Care, Human Services, Insurance, Construction Industry Licensing, Management Services, Mortgage Industry, Pharmaceutical Industry, Real Estate, Social Services, State Employment, Transportation, and many more. Live Scan fingerprinting is the technique and technology used to capture fingerprints electronically. It replaces the more traditional method of ink and paper and is faster, cleaner and more accurate. 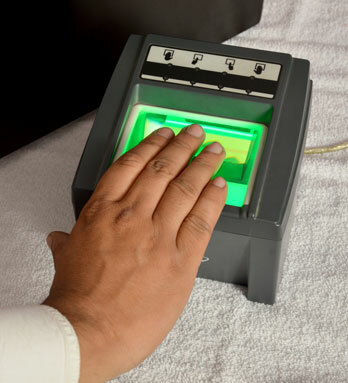 Live Scan fingerprinting is used to reveal criminal history information for identification, employment and licensing purposes by matching fingerprints and other identifying information to existing data files for an individual.